Hall of the Mountain King: Review: Hank III, "Brothers of the 4x4"
Review: Hank III, "Brothers of the 4x4"
When Hank Williams III finally got out from under his contract with Curb Records in 2011, most fans were expecting another album along the order of his landmark Straight to Hell record. We assumed that his last few Curb albums had been uneven because he was sandbagging his best stuff. He certainly had plenty of material for fall 2011, when he released four albums — the country/Cajun double album Ghost to a Ghost/Gutter Town, a decent doom metal record under the name Attention Deficit Disorder and the completely bizarre and head-scratching blend of thrash and auctioneer cattle calls entitled 3 Bar Ranch Cattle Callin’. Perhaps our hopes were too high, but it was largely a disappointing mess. Fast forward a couple of years, and we’ve got two more albums — a punk record called A Fiendish Threat under the name 3 (we’ll get to that one in a later review) and this new country record. It’s a much more satisfying set of releases for fans. Brothers of the 4×4, despite the kind of corny title, brings us back to some of the things that III does best. It’s a deeply traditional, old-fashioned country record, but with some of the rock ‘n’ roll influences that he brings to the music. He makes it clear from first track “Nearly Gone.” Stripped back, it’s a song that his grandfather might have recorded, but then he drops a slight effect over the whistles at the beginning and the vocals that give it his flavor. “Nearly Gone,” though, also illustrates a frequent problem on both of these records. At eight and a half minutes, it’s far longer than it needs to be. Much like an author that has reached the kind of best-seller status that no one wants to tell him to trim his work, III as writer and producer tends to let himself ramble on, often with the same verse and melody repeated over and over until you’re almost tired of it by the end. That said, it’s not a deal breaker. There’s a strong influence of Appalachia throughout this record, which is heavy on banjo and fiddle, and lyrically, it’s often a throwback to a simpler, much earlier country sound. That’s never more apparent than on “Looky Yonder Commin,” an ode to a good raccoon hound. Or take “Possum in a Tree” from the second disc of the set. It seems kind of a silly piece by today’s standards, almost like a kids’ song, but it’s just so damned fun and catchy that you can’t get it out of your head. Of course, it’s not all innocent fun. Though the drinking and drugging references don’t come quite as often as on past outings, they’re still there. And III’s bent for somewhat juvenile humor is here, too, particularly on “Held Up,” which despite it’s “Beavis and Butthead”-worthy chorus hook is one of the absolute best tunes to be found on the record. As the title of the album might suggest, there’s a lot of seemingly cliche material here, but III has fun with it. There’s a certain tongue-in-cheek feel to the entire record, as if he’s not taking himself too seriously. Musically, though, he’s pretty serious. 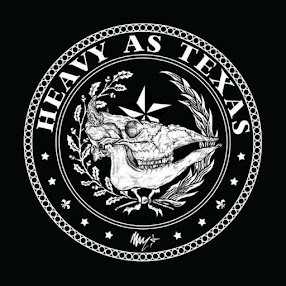 As III, who in all fairness is a big 4×4 enthusiast, sings the praises of muddy tires on the title track, he’s backed by a pretty hot traditional country rocker that has flashes of rock ‘n’ roll in the rolling drums (also played by III) under the chorus. “The Outdoor Plan,” which has a little Marty Robbins influence in its horns, sings the praises of getting out in the woods or on the lake to escape from the worries and troubles of life. It’s been done tons of times before, but damn it, as far as I’m concerned, he’s right. And his sing along with the horns and fiddle on the chorus might seem a little corny, but I dare you to not hum it for hours after the song is finished. There’s darkness, too, of course. “Farthest Away” is another one of the album’s strongest tracks. Though musically there’s a bit of an upbeat feel, lyrically it finds III lamenting about “when the closest one is the farthest away” in a broken relationship. “Deep Scars” has a slower, more expected sound for his darker side, but even it has a hint of hope. There’s nothing here that reaches the levels of “Country Heroes” or “3 Shades of Black,” but the songs aren’t bad, either. And then we get to see both sides of one song in the companion pieces “Ain’t Broken Down” and “Broken Boogie.” The first version, from the first disc, is a dark dirge of a song with a very ominous feel from the drum march to the mournful fiddle as III sings “I ain’t broken down, I’m just broke” in his lower registers with a kind of ethereal effect to it. “Broken Boogie” is anything but dark as it rolls through traditional country, Southern rock and even some pretty hot rock ‘n’ roll guitar licks. It’s an interesting study in how two approaches to the same song can make a huge difference in your interpretation. One of the more interesting pieces on the record, especially considering the tone of the rest of the album, is “Dread Full Drive,” the final song of the first disc. It’s a traditional country tune set to an electronic beat. I’d heard a live version of it that didn’t impress me all that much, but put all together in the studio version, it’s a far more intriguing piece. The juxtaposition of the old-school country feel and the electronics makes it somehow work. 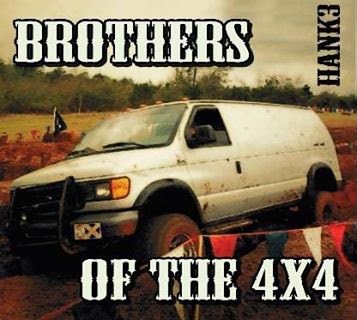 No, Brothers of the 4×4 isn’t the second coming of Straight to Hell. The truth is Straight to Hell is probably that album for III, the one that people always want him to duplicate and that he’ll never come close to achieving again. Brothers of the 4×4, though, is one of the better records that we’ve heard from him in quite a while. It’s got the traditional country for fans of his earlier stuff, it has just a little rock influence for fans of his later stuff (though it’s not too overpowering as it became on his last couple of Curb records). It hits just the right note, I think, to get his country persona back on track. Review: 3, "A Fiendish Threat"
Review: Nine Inch Nails, "Hesitation Marks"